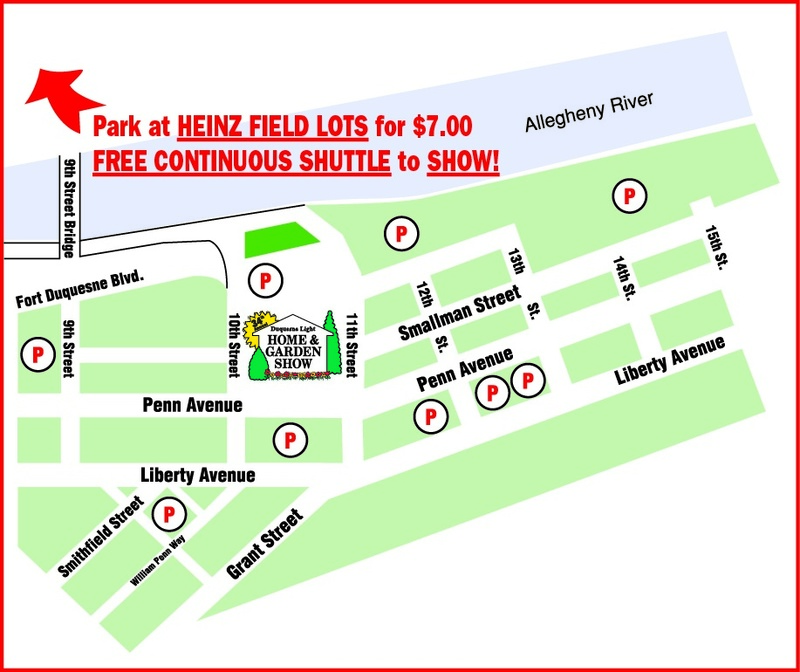 Park at the Heinz Field lots for $7.00 (ALL DAY!) and ride the FREE CONTINUOUS SHUTTLE to the Show. Drive to the Stadium Lots on the North Shore. Pay $7.00 to park ALL DAY. The FREE shuttle buses will take you right to the front door of the Convention Center in less than 5 minutes. When you are ready to return, the buses will be waiting right at the front door of the Show. Shuttle operates all show hours, including one hour before and one-half hour after Show times each day!!! This is a very inexpensive place to park as well as very accessible. You do not have to wait in line to park. Cheap parking located along Smallman Street, East of the Convention Center. All day parking is available.